Angelic Beats - A Rose Is A Rose Is A Rose! Angelic Beats is the story of a boy in his late teens who falls in love with a married woman. Both defy their ages; the woman for her looks and innocence and the boy for his confidence and clarity in life along with integrity. The journey of the boy for his passion also becomes journey of love for both that finally takes them to more meaningful destinations. It unfolds the changing perspective of a young boy and a married woman in various situations of life treading the path of love and success together. How they carry on with love and friendship as a responsibility is quintessence to their journeys. Love can make one completely blind or it can candle all the darkness in life. Sometimes destiny becomes the greatest magician. It brings two opposite people, Sahil and Aakanksha, on one platform. Even their personal statuses do not match for one is married and the other single. One is confident about making choices in life, whereas the other is always scared of making a choice. One is always positive, and the other is negative in outlook. Unlike mathematics, where “+” and “−” always make “−”, sometimes in real life, “+” and “−“ do make a “+” together. On the road leading to his passion, he happened to meet the first love of his life too. Before going to the National Defence Academy for the journey to be a commissioned officer in Indian Air Force finally, he introduced “love” in her and his own life and pledged his heart to her. The arrows of cupid struck her also. Do their final choices engulf all other relationships like a storm and rage and bleed their self-esteem? Or are they able to carry their choices gracefully through their quest for happiness? When I read the blurb of Angelic Beats, I was immediately reminded of Second Thoughts by Shobha De. I had read this book some fifteen years ago. It’s a love story of Maya who struggles with her marriage. 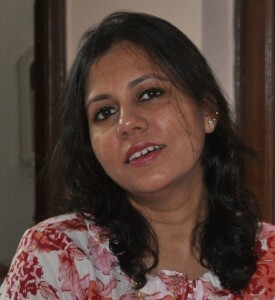 She meets and finds solace in Nikhil, her charming college-going neighbour. Soon the stage is set for an explosive tale of love and betrayal. I had found it be a good read then. With thoughts of Second Thoughts, I applied for review of Angelic Beats. 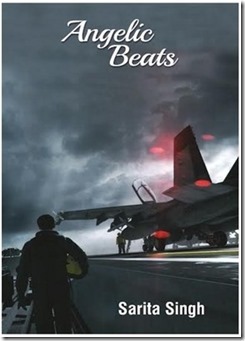 I had high some expectations from the Angelic Beats as the story line is pretty explosive and had the makings of an intense and interesting read. Insights of life at National Defence Academy. It was interesting to know the schedules, the tough training and life in general for the officers at the country’s most prestigious institute. I liked the clarity of thought and confidence Sahil had in his abilities and vision for his life at such an young age. Simple and lucid language is used in the book to share insights about human relations, love and life. Editing. Less said, the better! Angelic Beats is a dull story. Except for the newer activities and trainings at the Academy, the love story has hardly any twists and turns. The story lacks emotional depth too. The blurb at the back of the book is too descriptive and then there’s even a summary of the story before the prologue. A summary in a business report or an essay is common, but in a fiction!? Why would one want to give away the essence of the story in the first few pages in a fiction?! 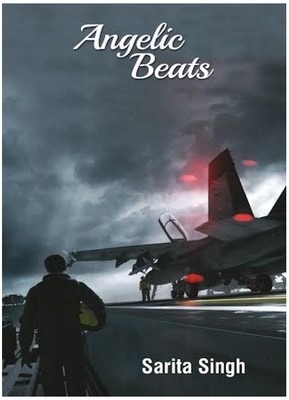 Angelic Beats had a promising story idea but somehow it missed somewhere and it didn’t work for me.